I recently acquired a set of five original photographs of Christine Jorgensen, the first “mass media” transgender woman in the world. Four of the photos date from 1953, and one which is autographed by her from between 1957-1962. 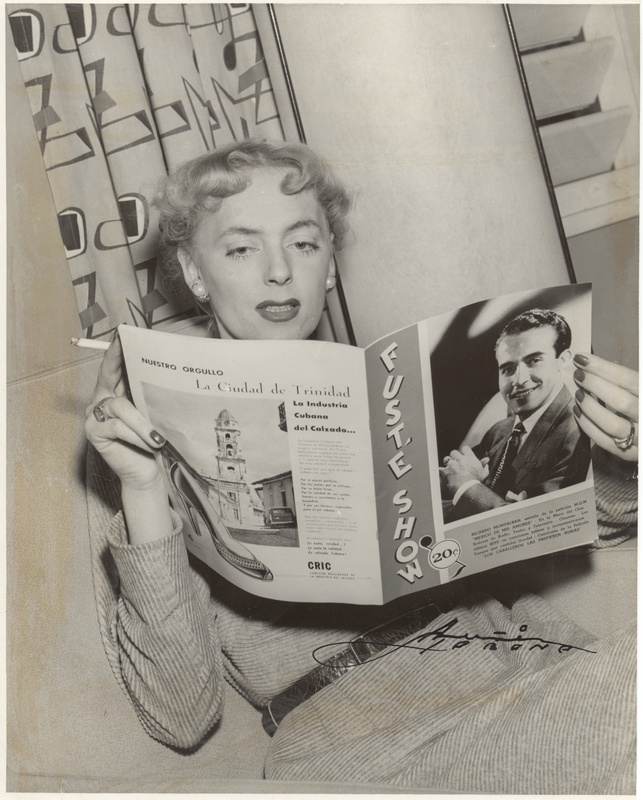 I’m posting one new photo a day this week, and each photo can be found on the Christine Jorgensen page here, and if you click on the photos here and on her page, you can download a very high-resolution version of the work. The following photograph is labeled October 10, 1953, and has no caption. However, I can tell you that the photo depicts Christine on a trip to Havana, Cuba, and the reverse of the photograph has notations in Spanish and a development stamp of “Havana.” She is striking a casual pose and reading a Spanish film magazine. Sadly, I have no other context for the exact scene in this photograph. You can click on the photo below to download or view a very high-resolution image. This entry was posted in History and tagged christine jorgensen, cuba on March 7, 2017 by .